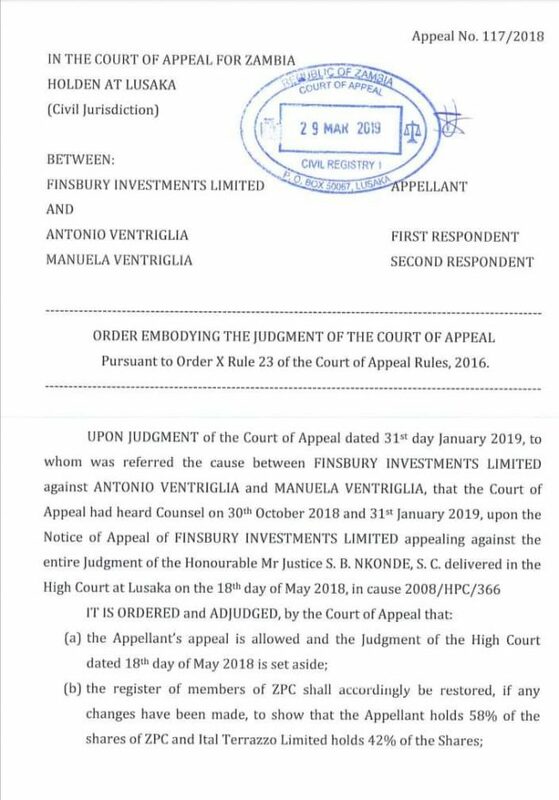 The Court of Appeal has decided that Finsbury Investments Limited is required to pay the Ventriglias family K580,000 (Five Hundred and Eighty Thousand Kwacha) rebased and *NOT* K580,000,000 (Five Hundred and Eighty Million Kwacha) for the shares that Finsbury Investments Limited owns in Zambezi Portland Cement Limited. 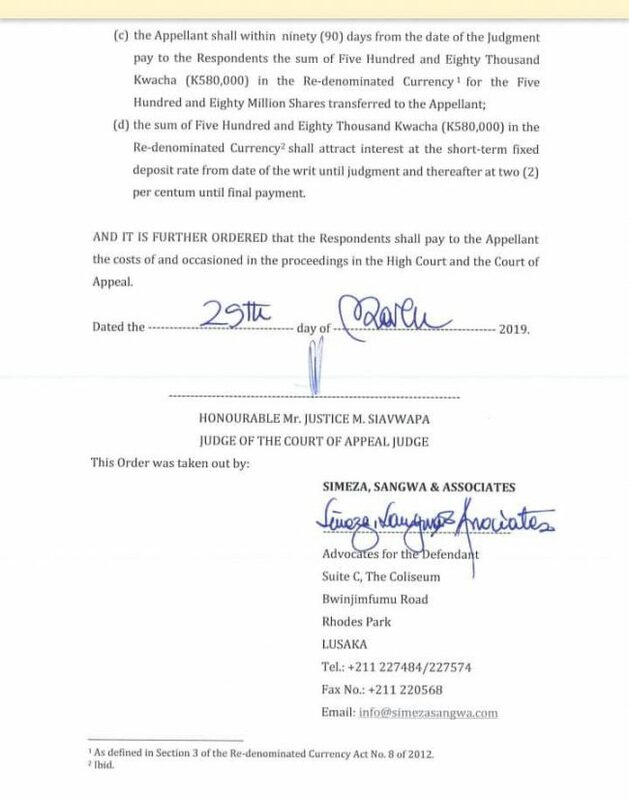 Following the Court of Appeal Judgment dated 31st January, 2019 which confirmed that Finsbury Investments Limited was a 58% shareholder in Zambezi Portland Cement, a battle on the value of shares ensued between the parties and the Court of Appeal was called upon to clarify the position through a Court Order in line with the Rules of the Court of Appeal. Today, the debate has been brought to rest by the Court of Appeal. 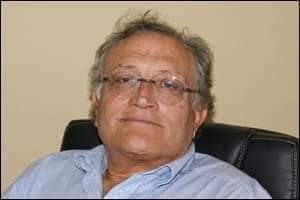 What this means now is that Finsbury Investments Limited having already paid the K580,000 plus interest from 2008 to the Ventriglias through Court, there is no more issue on who owns Zambezi Portland Cement Limited.